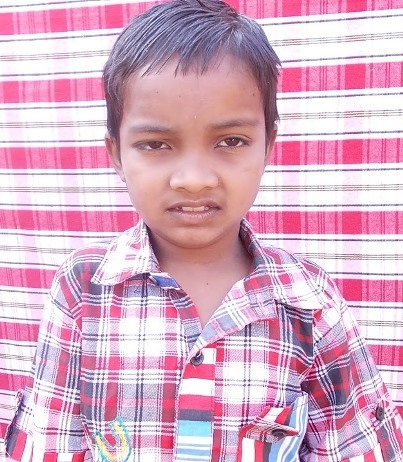 New Hope for Children Orphanage: Madhu's father died, mother abandoned him: rescue Madhu today! Madhu's father died, mother abandoned him: rescue Madhu today! I am Madhu Pavan. I am 6 years old and studying in 1st Grade. I lost my father in early age, and my mother is handicapped. She abandoned me. I got an opportunity to be in NHC Home. I love to play with my brothers and sisters. I am in need of a sponsor. TO SPONSOR MADHU, CLICK HERE! There are currently 137 children at the four Christian homes for orphans in Bangalore, Rajoli, Ambur, and Bhadrachalam, India. Donations in countries outside India are processed through Big Family Mission, a USA-based mission society which is operated by volunteers. Gifts are tax-deductible for U.S. donors. Or, give a one-time gift to help with food, clothing, and education of children who do not yet have sponsors. Through our secure online donation page, you can contribute via credit card, debit card, checking account, or via mail. You can make a one-time donation... or choose to donate monthly. You can choose to contribute as little as $1. All gifts are very much appreciated, and go directly to aid orphans in India. Just click on GIVE to go to our secure donation page. Would you like more information about Pastor George Fernandes and Helping Hands India ministries? Click here.